What causes deformity in the rheumatoid thumb? Rheumatoid arthritis (RA) is a destructive inflammatory disease that impacts soft tissue. 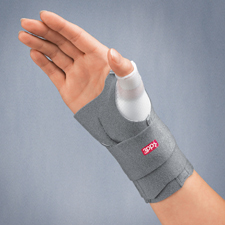 This disease commonly involves the thumb and causes deformities to the thumb through tendon rupture or tendon subluxation and the abnormal stretching of ligaments and other joint structures. Along with a more common thumb deformity caused by osteoarthritis and rheumatoid arthritis, thumb deformities can also be a result of thenar wasting, caused by median nerve injury or compression. The median nerve innervates the opponens pollicis (OP) and abductor pollicis brevis (APB). 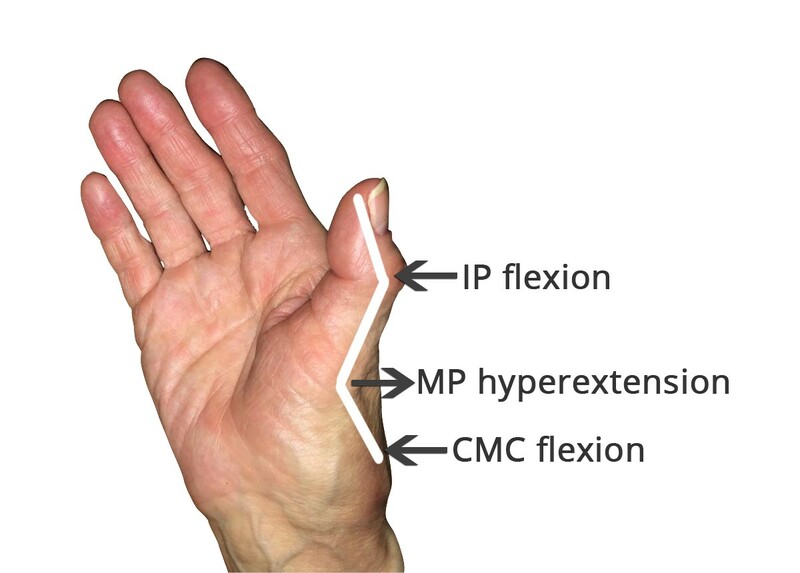 These two muscles make up most of the bulk of the thenar eminence and allow the thumb to perform palmar abduction (thumb opening away from the palm) and rotation for pad to pad prehension.